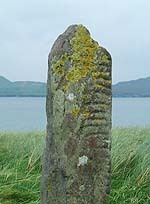 Beautifully situated on a grass covered sandy knoll overlooking Smerwick Harbour, this ogham stone is all that remains on site. 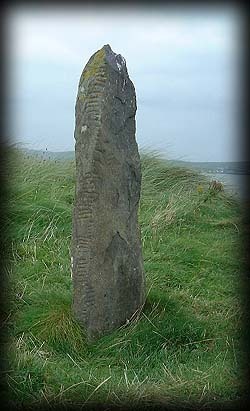 During a storm at the end of the 18th century seven ogham stones were exposed also a fragment of what may have been an ogham stone and a cross inscribed stone. 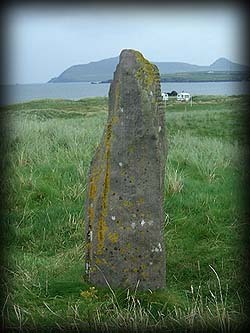 Six of the stones and the cross slab were removed by Lord Ventry, four of them and the slab are in the collection at Colaiste Ide and the other two are in the grounds of Chute Hall, Tralee. The one remaining stone CISP No Balig-7/1. stands at 1.73 metres high, 0.51 metres wide and 0.18metres thick. Pictured above is a close up of the scores. 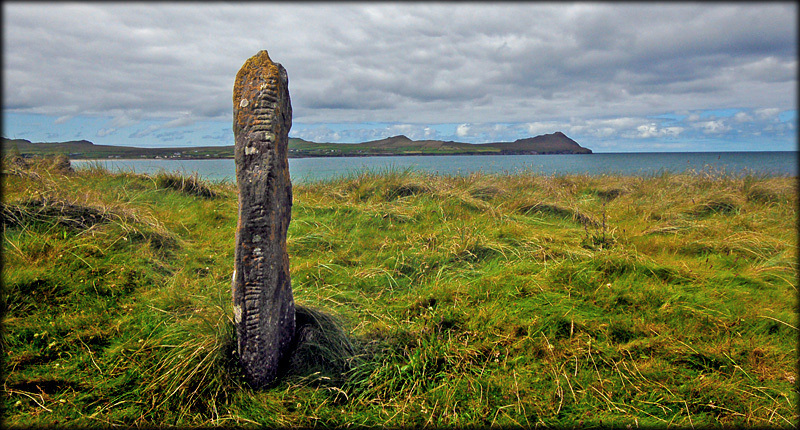 Situated on a grassy knoll at Smerwick Harbour. From Ballyferriter on the Dingle peninsula travel west on the R559, after 1 kilometre take a left for Ballinrannig then take a left at the fork at the end of this road. Discovery Map 70: Q 3667 0564. Last visit July 2011.